Well, could it possibly work? 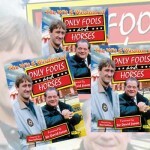 A spin-off episode from the accolade sitcom, Only Fools and Horses? 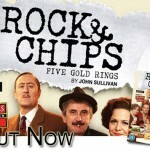 Well only one man could come close to such a feat; John Sullivan. Certainly one of the clear strengths of Only Fools and Horses over the years is the extraordinary success of introducing great characters into the show. From the beginning of OFAH we met up with Trigger. A few episodes later Boycie was introduced. 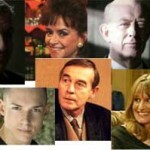 By series 3 and 4, Denzil, Sid, Trig, Mike and of course Boycie and Marlene, have become household names. From this foundation, Green, Green, Grass develops. 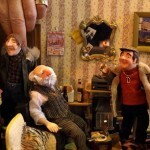 On 28th November 2004 at Teddington Studios, London, a pilot for the show was filmed. I was fortunate to be among the 300 strong audience. 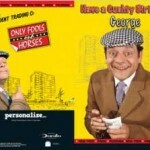 As with OFAH, the filming was performed before a live audience to gauge the comedy based on genuine laughter and not the canned variety. The studio set involved an internal kitchen for Boyce’s Peckham based home and a huge mansion room acting the Boycies’ new residence. The production team was very experienced as many of them had worked on previous episodes of OFAH. 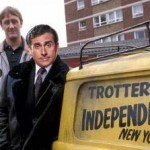 In fact, it so easily could of been the filming of an OFAH episode (never say never). Well, as with many others, it’s easy to be sceptical, especially as I’m hugely passionate for OFAH. The opening scene was classic Sullivan. We see a very normal everyday scene in the Boyce household, and then BANG, he’s got you, resulting in deafening laughter from the audience. Throughout the filming the connections to OFAH, put a warm smile on my face. It’s so good to hear Del is still flogging dodgy gear. Other connections I won’t mention, as this would be giving too much away. 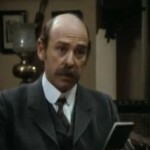 More plusses include an excellent performance from the now grown up Tyler, (Boycie and Marlene’s 15 year old son). Gradually the story unfolded, to explain why Boycie and Marlene end up in a mansion in the country. The pilot episode was funny throughout and certainly provided some very funny moments. Having said that it was moving from an OFAH scene to its own sitcom and therefore needed to establish a new situation to set it into. It did just that! The final scenes gave us a glimpse of the type of sitcom Green, Green, Grass will become. It will work on the basis that Boycie, Marlene and Tyler will find it hard to adjust to village life, there is clearly plenty of room for a complete series to thrive on. I have to say that both the quality of writing, and the fact it did work for me means we may well be seeing a lot more of Mr and Mrs Boyce over the coming months.